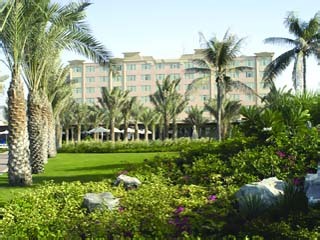 9 Hotels found in Sharjah! Open All Year... 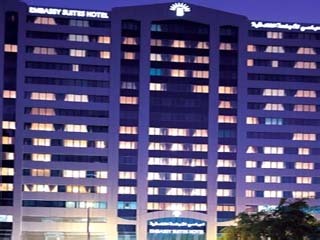 The Embassy Suites Sharjah Hotel is situated in the city centre and is a few minutes drive from a host of shopping complexes, cinemas, restaurants and the beach. 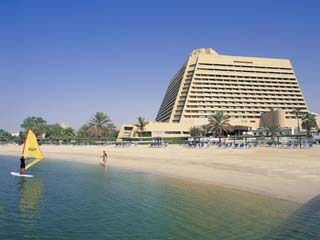 Open All Year... Holiday Inn Hotel in Sharjah, this luxurious hotel is one of the notable 5 star hotels in Sharjah UAE. With its sophisticated and attentive services, the hotel has made a favorable name among both the domestic travelers as well as the international tourists. 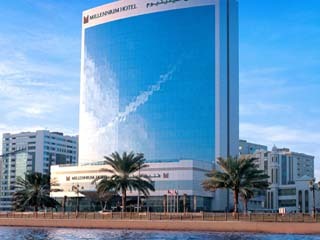 Open All Year... With guest facilities including 259 luxurious guest rooms, a magnificent Grand Ballroom and a diverse range of culinary options, the Millennium Hotel Sharjah also offers Le Club Health & Fitness which features separate health clubs for men and women. Open: Year Round... 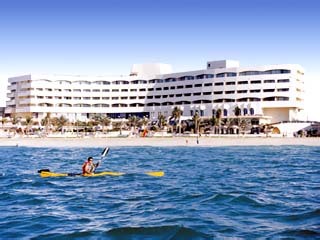 The five-star Radisson Blu Resort, Sharjah-United Arab Emirates is a well-known landmark that caters to business and leisure travellers. Open All Year... 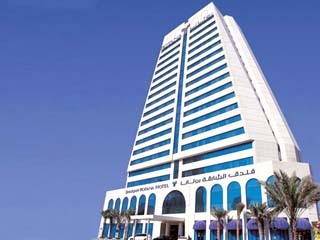 The Sharjah Rotana Hotel invite you to experience the true Arabian hospitality in this stylish and modern hotel. Whether it is business or pleasure, there is a promise to cater to all your needs. Open All Year... Standing by the shores of the Gulf, Beach Hotel - Sharjah is 5 Kms away from the city center and within easy reach of Sharjah and Dubai International airports. 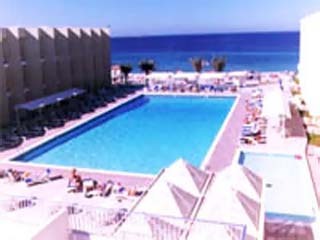 Open All Year... Coral Beach Resort is a 4 star newly renovated hotel. It has classical architecture with modern interiors and exquisitely landscaped garden. 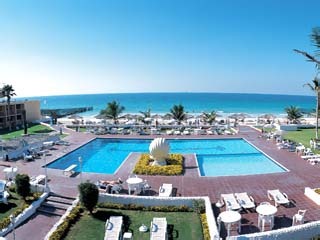 Open All Year... Overlooking the clear blue waters of the Arabian Gulf is the Lou'Lou'a Beach Resort, situated on the golden sandy beach of the Gulf coast and just few minutes away from the bustling downtown. Open All Year... Ideally located on the beach of the Arabian Gulf and just 8 kms from Dubai and Sharjah International Airports, the highly acclaimed Sharjah Grand Hotel with its 230 beautifully furnished rooms is the convenient spot for tourists and business explorers.